This blog post was inspired by one of my Facebook friends, Christina Margolis. The day before I published this blog post, I made a bank deposit and as I made the deposit, I decided to share a few of my business cards to the bank teller. I shared this moment with you, because I want to inspire you to get in the habit of telling others about your Business. In fact, if you are shy, that’s OK….just keep practicing and you will become more comfortable with sharing your Business cards. I’m introverted by nature, however, over the years, I have come out of my shyness and I tell others about my business on a regular basis. The next time that you are in the grocery store or out shopping and you see a mom or dad with children, that’s a great opportunity for you to gain a potential client. I look forward to reading your comments about today’s blog post. Be sure to leave your comment below. I hope that you have enjoyed the webinars and blog post that I have shared with you during the month of December. If you missed any of my post or webinars, click here. Moreover, my hope is that you have a Successful 2013 and to assure that you have a successful year in business, I created an ebook with your success in mind! Download your ” Free” ebook now! 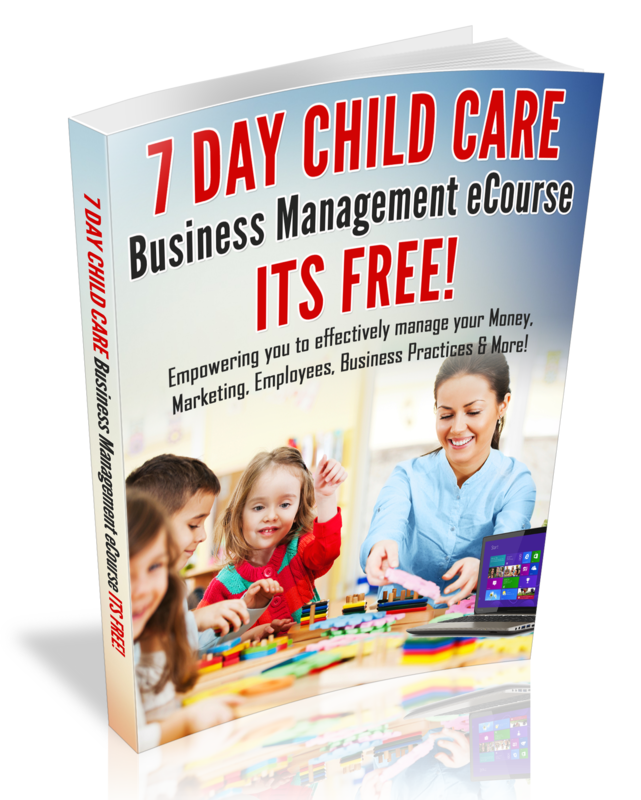 Click the Following Link—>(10 Steps to a Successful Year in the Business of Child Care) and be sure to listen to my video below!